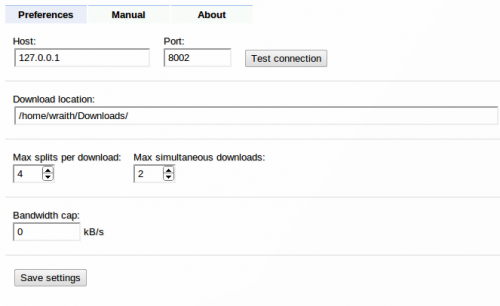 PyAxelWS Download Accelerator is a Chromium browser plugin for Linux which is a clone of pyaxel that accelerated downloads, persistent reconnection, resumable downloads, download speed limiting, and download progress indication. 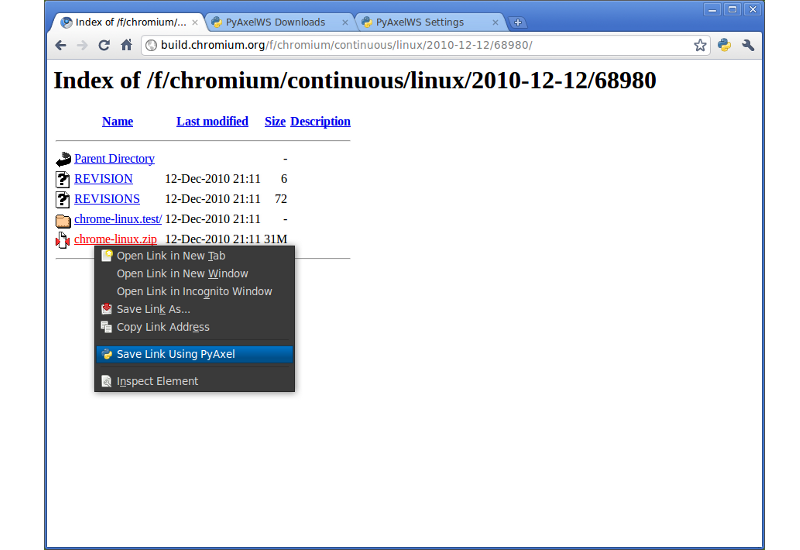 To make the accelerator work need a Python script running as server and a Chromium extension running as client. Step 1: Install and configure the server. Download the pyaxelws Python scripts: http://goo.gl/AEoTH. Extract the package and run the pyaxelws.py, and the server starts. To make server start automatically at log-in, just add the script as auto-run under System -> Preferences -> Startup Applications. Step 2: Install and configure the client. After the plugin properly installed, there should be a shortcut icon after address bar. In the Preferences window, set the download location, port, bandwidth cap, etc. No user responded in " Speed up Chromium downloading in Ubuntu with PyAxelWS Accelerator "